Well, it's been a heck of a long time since the last update. There's been a good reason for it though: I've been working really, really hard on the next game which I finally decided is far enough along to talk about. 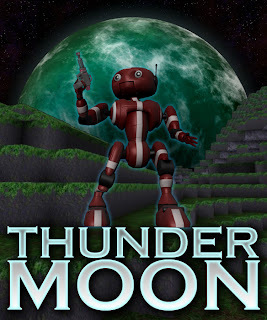 Thunder Moon is a mission driven single player game set in a sci-fi environment and is going to be available on PC and XBox Live Indie Games. The gameplay is a mix of first and third person, depending on what is going on in the game. The game design includes an open world with progressive missions, NPCs, vehicles, world building, moddable weapons and crafting. Technology wise, this is a very mod-friendly game engine and I've taken great efforts to keep the separation of mod & engine as clear and functional as possible. In fact, the current "game" is just the default mod for the engine. 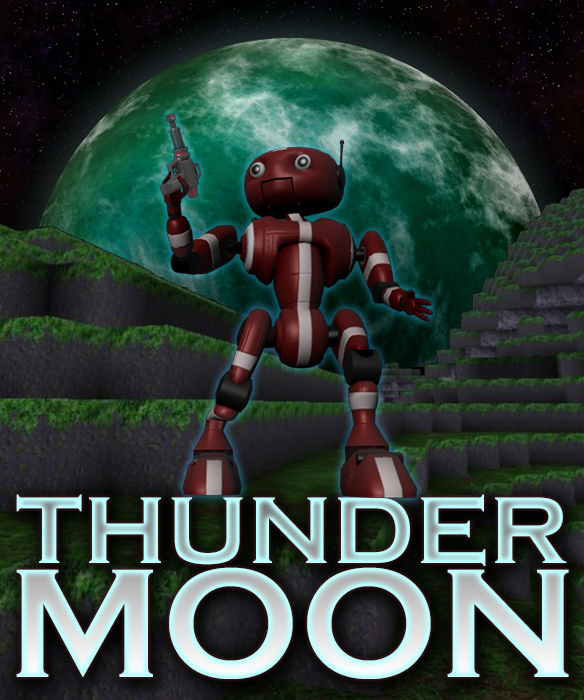 I have every intention of releasing example code, tools and documentation which will make it possible for people to create their own Thunder Moon PC mods using C#. I really hope this project will bring something fun to the open world voxel game community. Not too long ago I realized the game was starting to approach a state where it probably makes sense to start sharing preview builds. The game is not done, not by a long shot, but there is enough there that some intrepid folks out there might want to check it out. I've been spending the last several days smoothing out the rough edges required for the preview build to be worth anyone's time. I'll continue working in this direction and hopefully it won't be long before I have an actual build ready for download so stay tuned! Until then, here's a video of the first vehicle - the hoverbike!